Hogwarts School of Witchcraft and Wizardry is only one of a number of schools (eleven to be exact) for witches and wizards. Some information about foreign schools is revealed through the seven Harry Potter novels, while other information has been revealed by author J.K. Rowling in the years since. Read on to learn about the wizarding schools of the world. 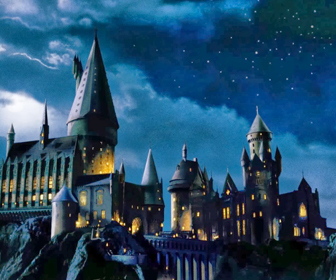 Hogwarts is the school at the center of the Harry Potter novels, and is located in Scotland. It educates witches and wizards from ages eleven through to seventeen. An enormous castle set in the countryside, Hogwarts is not visible to the Muggle population (they see instead a dilapidated old ruin). Students travel to Hogwarts via the Hogwarts Express, a scarlet steam-engine which travels from London’s King’s Cross Station. Hogwarts was founded over 1000 years ago by the four greatest witches and wizards of the day: Godric Gryffindor, Rowena Ravenclaw, Helga Hufflepuff and Salazar Slytherin. The four Hogwarts houses are named in their honour. Beauxbatons is a wizarding school located in France. Students from Beauxbatons competed in the Triwizard Tournament, hosted by Hogwarts during the events of Harry Potter and the Goblet of Fire. Olympe Maxime is the school’s headmistress. Durmstrang Institute is a wizarding school location in Northern Europe. Famously, Dumstrangdoes not teach Muggle born witches and wizards. Durmstrang was another of the schools to compete in the Triwzard Tournament. Viktor Krum of Bulgaria was the school’s champion, and the headmaster at this time was Igor Karkaroff. Gellert Grindelwald also attended Dumrstrang, marking the sign of the Deathly Hallows on a stone wall. In January 2016, J.K. Rowling revealed four new wizarding schools: Ilvermorny, located in the United States of America, Uagadou, located in Africa, Mahoutokoro, located in Japan, and Castelobruxo, located in Brazil. Harry Potter author J.K. Rowling has teased the existence of an Australian school of witchcraft and wizardy. We presume that information will be revealed on Pottermore in good time! Rowling also teased fans about the presence of a wizarding school in Canada, promising information would be revealed on Pottermore.